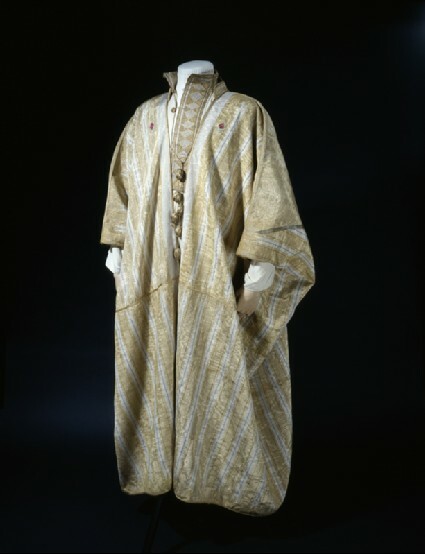 Stewart Newcombe also wore Arab robes while in the field, as did other members of the British Military Mission to the Hejaz to varying degrees. His were invariably stained and dirty from his prodigious efforts to destroy the Hejaz Railway. Most photos of Newcombe in the desert show a good few inches of sock disappearing into a pair of scruffy suede army brogues, as he was obviously unable to obtain robes for his height. 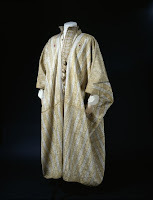 Lawrence, who was given a set of robes by Sherif Feisal, wore his so that he could move easily among the tribes as a representative of Feisal and to allay suspicion. As he wrote: 'Because of my khaki they took me for a Turk-trained officer who had deserted to them, and were profuse in good-humoured but ghastly suggestions of how they should treat me.' Lawrence always tried to wear the best for political motives, both local and international. A fine example of these will be on display from the 7th November when the museum re-opens its doors.